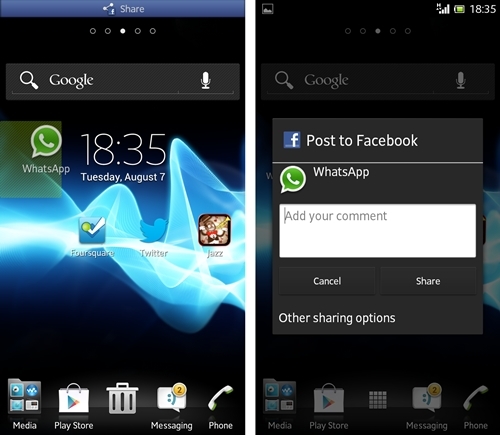 Sony Mobile has sure taken its time to deliver the Sony Xperia ion. 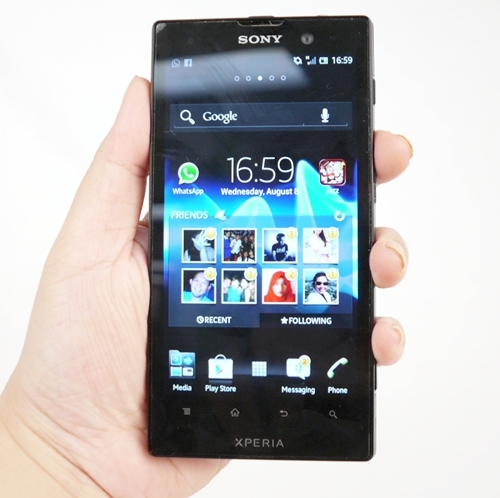 The 4.55-inch device was first unveiled with the Xperia S about seven months ago at CES 2012 but has only recently resurfaced during a huge local Southeast Asia (SEA) event in late-June where five other Xperia devices were unveiled as well. The Sony Xperia ion was initially unveiled as an LTE-based smartphone that's exclusive to AT&T in the US, but Sony has since added a HSPA variant to the fray - it is the latter that we would be looking at in this review. No doubt, the big 4.55-inch screen - the biggest on a Sony Mobile device - propels the smartphone into the higher-tiered arena of mobile phones despite its dual-core processor. 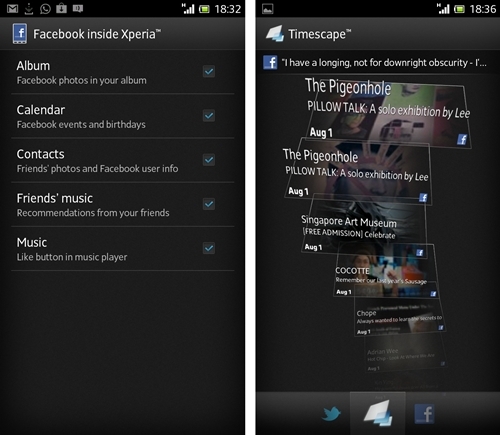 How does the Xperia ion fit into the grand scheme of things? Let's find out. The Sony Xperia ion sports the same angular build that is found on the NXT series and you can barely tell them apart save for the transparent element that's absent on the Ion. While we applaud Sony for taking charge of its phone designs - the iIon is remarkably constructed and sheathed in a mixture of plastic and aluminum, we were expecting their new phones to look a little less like each other and have a wee bit of distinction form each model. It is, in our opinion, second to HTC in terms of churning out classy-looking phones, but keeping its design too similar to the others in its line-up would probably hurt its chances. The Xperia ion is a big phone and despite having a striking angular form, we found it rather impractical due to its wide girth and extended length. We would have preferred slightly rounded edges to complement its large angular design. As mentioned earlier, the phone comes with a plastic/metal body which feels extremely sturdy. Unfortunately due to these design traits, the price it had to pay was a letdown in its portability - the Xperia ion feels a tad too heavy for our liking. Perhaps the phone was better directly catered for the European and US markets where statistics have long shown favor of larger devices. 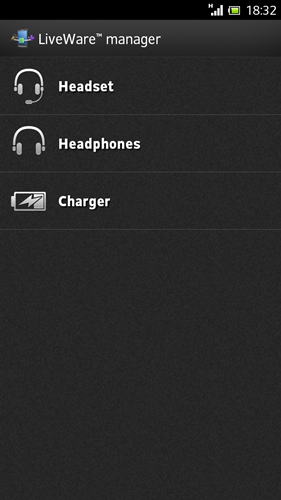 As it is with many new phones these days, all physical control buttons are relegated to one side. 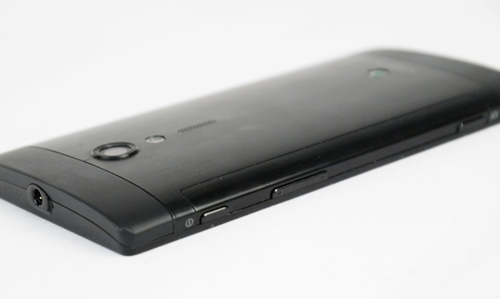 In the Xperia ion's case, the power button, volume rocker and shutter button are located on the right, with the HDMI and microUSB ports placed on the left profile. The pair of ports are protected by a rather flimsy plastic cover that came off occasionally while we were testing the device. 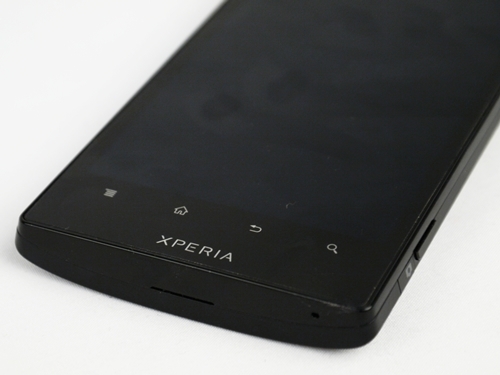 Like the NXT series, the Xperia ion comes with a non-removable battery. 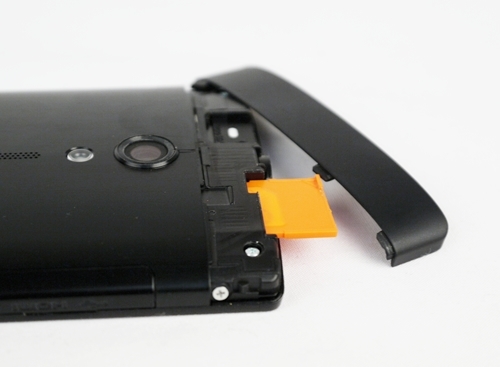 If you take a quick look at the back of the smartphone, it wouldn't hit you immediately so as to where to fit your microSD or microSIM cards. Thankfully, it was a simple press and slide affair to get the small top cover removed - that is, after spending a while trying to figure out the location of both of these slots. Usually, either there would be markings to indicate their locations or a more intuitive design aspect would present itself but we didn't notice either on the Ion. 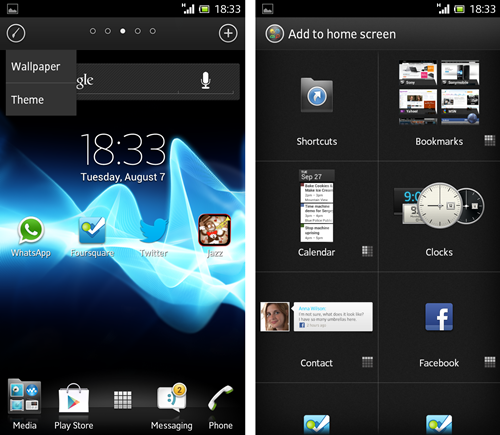 The Xperia ion was originally mentioned to come with Android 2.3 but it has since been updated to Android 4.0. The also explains why the ion comes with four touch controls instead (menu, home, black and search) as opposed to the usual three found on Android 4.0 devices. To open the multi-tasking tab, simply long-press the home control. Pressing the menu button while on any of the home screens opens up the options to change wallpaper and theme or add widgets to your home page instead of the usual settings tab - an implementation that doesn't quite make sense to us. Instead, we had to navigate to settings via the app drawer, which takes a couple more clicks and flicks than on other Android devices. 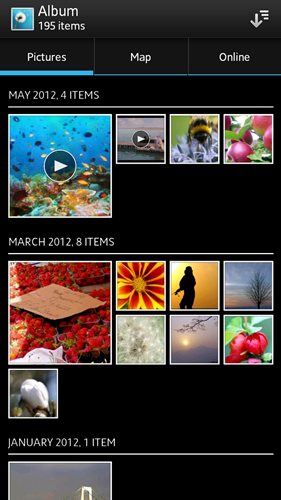 The experience is largely positive on the Xperia ion but isn't that much different from other Android 4.0 phones. 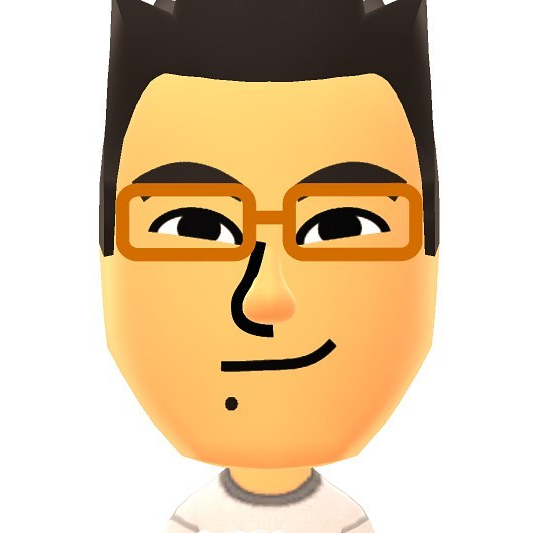 There are a couple of fluffy additions on the device but none that drastically change the basic Android experience. We must add that the user interface looks pretty decent and efforts to make it more cosmetically appealing can be clearly seen throughout the UI.